NEW YORK: Trump International Hotels Management LLC agreed to pay $50,000 to settle with New York State over data breaches that exposed 70,000 credit card numbers and other personal information, New York Attorney General Eric Schneiderman announced on Friday. 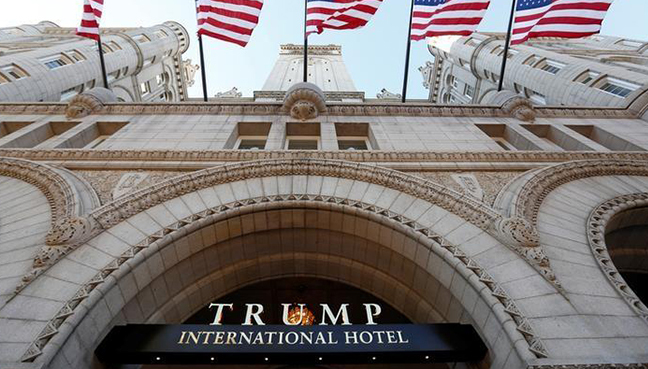 The company, which is led by Republican presidential nominee Donald Trump and three of his children, manages a number of hotels around the world under the Trump Hotel Collection name. According to Schneiderman, bank analyses of hundreds of fraudulent credit card transactions in May 2015 found Trump Hotels was the last merchant where a legitimate transaction took place. An investigation turned up malware in computer systems associated with Trump hotels in New York, Las Vegas and Chicago. Another breach was reported to Trump Hotels in March, Schneiderman said. Investigators found credit card malware had been put on 39 systems affecting five hotel properties, including Trump SoHo New York. Trump Hotels violated New York law by not providing notice of the breaches to consumers as soon as possible, Schneiderman said. After learning about malware in 2015, it took some four months for the company to put a notice about it on its website, he said. Aside from the $50,000 penalty, the settlement requires Trump Hotels to beef up its data security policies. Schneiderman is also looking into other Trump activities. In 2013, he filed a fraud lawsuit against Trump over his Trump University series of real estate seminars. More recently, Schneiderman has announced a probe into whether Trump’s charitable foundation abided by New York non-profit laws. Trump has claimed the moves by Schneiderman, a Democrat who is backing Hillary Clinton for president, are politically motivated.